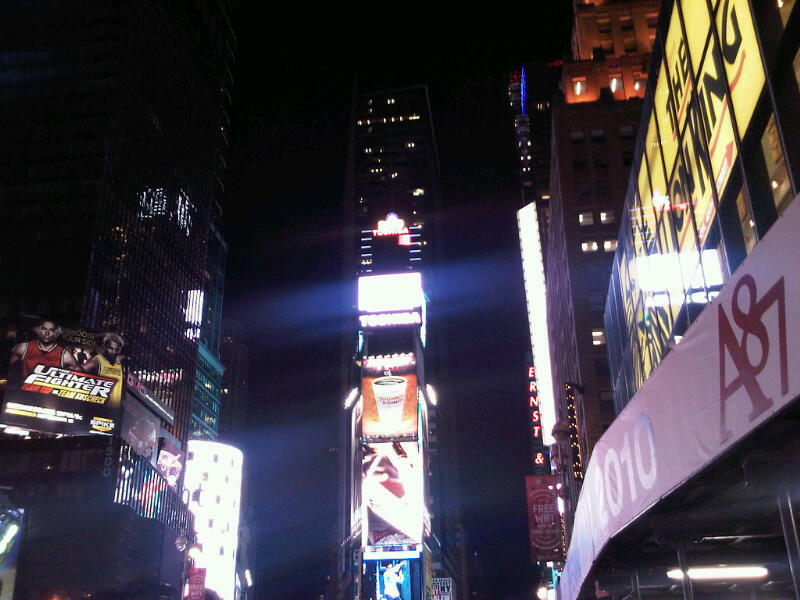 This weekend I was in New York City for some work events. It was my fourth time to the city, yet every time, I have always gone in for work and left without really doing anything fun or exploring on my own. This time, I was determined to change that. Originally, my trip called for me to come in Thursday morning, and leave Saturday morning. But at the last minute, I decided to stay over on Saturday (no work events that day), and come back on Sunday. I’m sooo glad I did. I visited the Museum of Art & Design in Columbus Circle. Really cool exhibits. I recommend it if you have an hour or so. We're on the big screen! I ventured into Central Park and enjoyed a little jaunt and some quiet time on the rocks. What a beautiful day. Everyone was out and about! 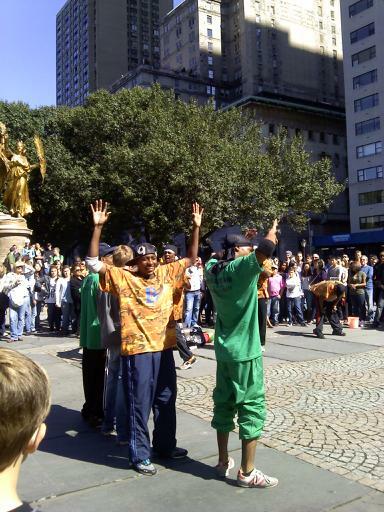 I watched an impromptu street performance by the Breeze Team, an acrobat/dancing group from Brooklyn. They were hilarious. I made one purchase on 5th avenue – some new shoes. I saw our UN Foundation PSAs on the Toshiba screen in Times Square – twice! It was so cool standing there on Friday night with my team, all of us looking up and celebrating our hard work. I ate some good Thai in Hell’s Kitchen, ventured out to the West Village for sushi and a fun sports bar, stepped into (and quickly out of) Tiffany’s, had a drink at a pretty cool hotel near Midtown, and watched college football at an Irish pub. So anyway, none of these experiences may sound spectacular to New Yorkers or others who frequent the city, but for me, it was another list of “firsts” that I can check off my list. What I like even more is that for the first time, I didn’t feel overwhelmed in the city, because I had a chance to just mosey around and check things out without feeling rushed the whole time – so I had a few moments where I thought “Maybe I could live here,” and “Yes, I definitely want to come back and do more.” Now…where to next? Good for you. 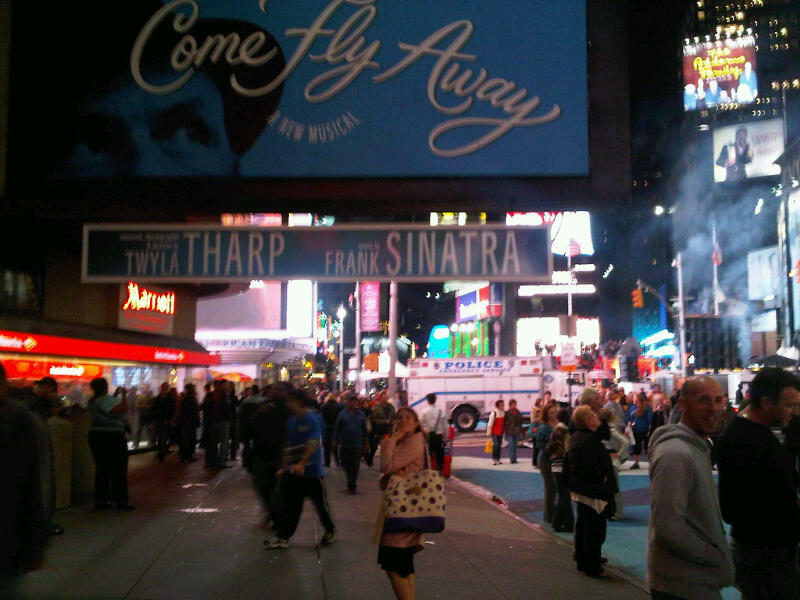 I’ve been in Tiffany’s myself with my daughter and a bunch of her friends for their Sweet Sixteen trip 3 1/2 years ago. The staff is the best, the elevator operator was sweet and was full of gossip about celebrity sightings. Tiffany’s is the location for alot of non profit charity events.